I had a good, long break and now ready to rock again! Oh, it’s a new year, 2014, happy this year everyone! Had my right eye operated a couple of days ago (astigmatism). that eye is totally healed. 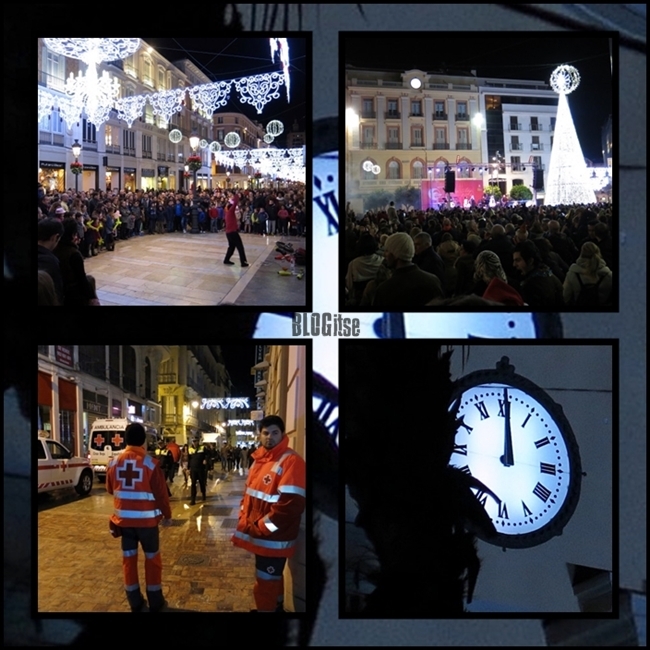 Here are a few ‘bye, bye old year – hello new year’ shots from Málaga. Plaza de la Constitucion was fully packed! Greetings to all my SSS friends! Here in Helsinki…it’s so quiet, clean and COLD! but it’s been sunny! and not much snow, jeee! Greetings to all my SIMC friends! ps. ps. Do you know new weekly photo challenges? If yes, leave a link, thanks! Happy New Year and so happy you are starting 2014 off with improved vision! So glad your eye surgery went well, and I hope you have a quick recovery. Your photos always serve to inspire to me to reach for better quality in my work. Helsinki does look cold. I hope you are healing well. That has got to be the coolest shadow shot ever! I love the stark contrast of the undulating white with the shadow seeming to race down its spine. Welcome home! Hope your eye gets better soon. Beautiful pictures! Congrats on good vision — I have a terrible astigmatism so I understand! Beautiful pics! Looks like a winter wonderland. Looks like you had a glorious time ushering in 2014! Yes, Helsinki looks cold! But that photo after the first collage is so beautiful! BLOGitse, wishing you a speedy recovery! I have severe astigmatism but don’t have the guts to go for surgery. 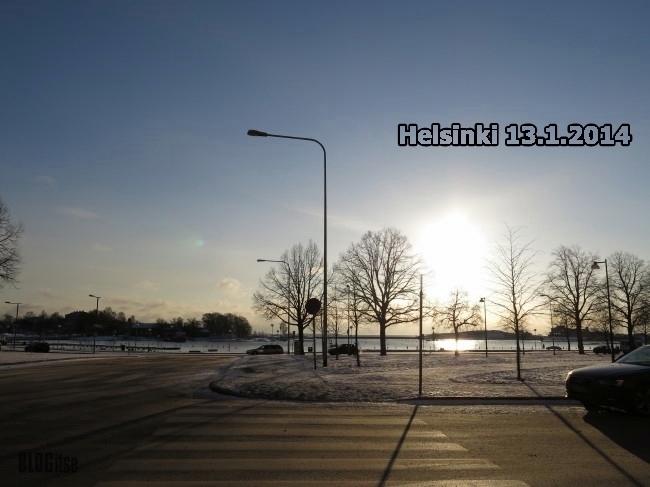 Helsinki looks lovely in winter – but quite cold. 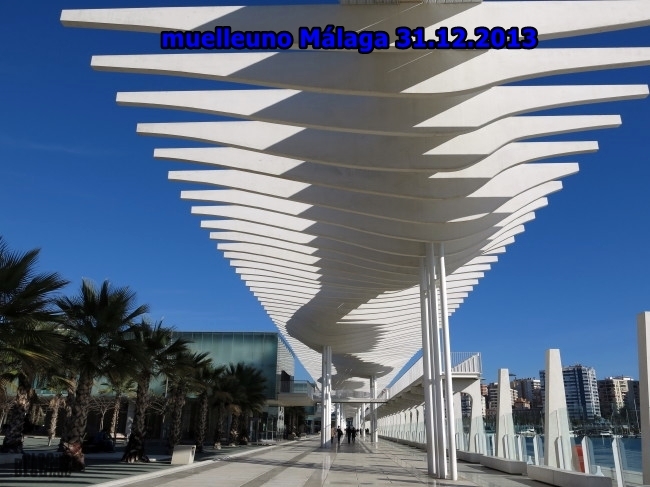 Malaga looks warmer (if not all that warm). 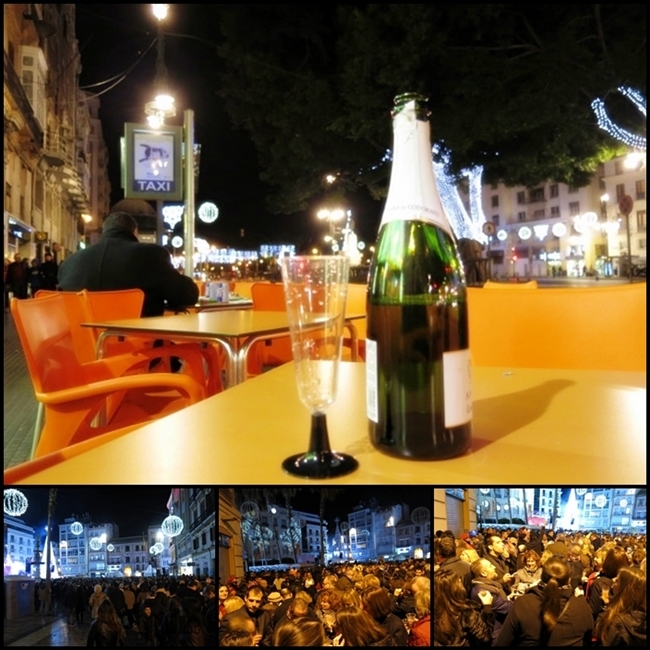 After enough Cava bottles, it shouldn’t feel cold at all…Happy New Year and I am happy that your eyesight is better too! Spectacular, shadowy roof line. So artistic by the water. And love your snowy scene. Happiest New Year to you too. Also, regarding your question on my blog, I have a Meme-Aholics blog that updates memes – especially photo memes – every week day. I don’t need all those little flecks of snow reminding me it is winter. We are still snow covered. I enjoyed your last shot very much. Oh, that one titled Muelleno Malaga looks especially striking with the snow falling on it. Thanks for the nice taste of night life and shadows. Silmäoperaatio kuulostaa mielenkiintoiselta. Onneksi kaikki meni hyvin.